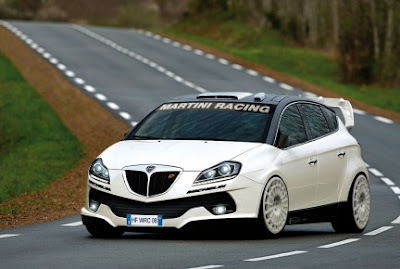 This artist’s impression of the new Lancia Delta in HF Integrale guise is the work of “Autoblog.it” reader Enrico Vercelli. Despite of what you may think about the photoshoped Delta, it would have been great if Lancia would consider bringing back one of the greatest hot hatches ever built, and one of the most successful rally cars of all time. Unfortunately, according to the Lancia folks we talked to back in June, there are no plans for an HF Intregrale as the most potent version of the Delta will be a mainstream variant equipped with a 1.8-liter turbo engine delivering 200Hp to the front wheels.